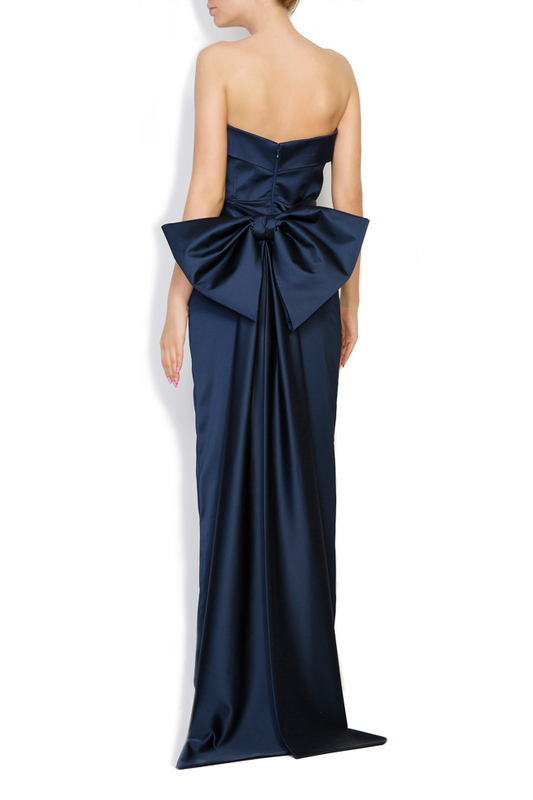 An elegant option for an exclusivist party or gala, the 'Donna' gown, signed by Ava Frid, in a midnight-blue shade is made from silky and slightly elastic taffeta and has a flattering straight neckline with an impeccably tailored wrap-effect bodice so it won't slip down as you walk or move. 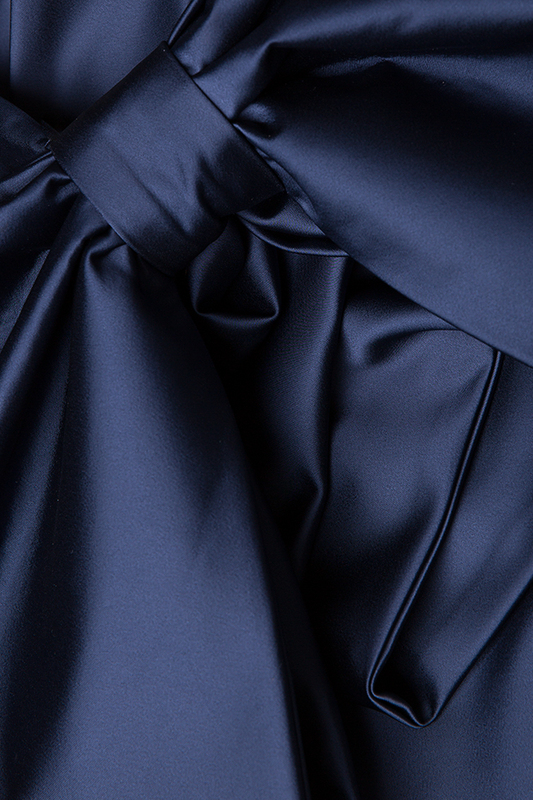 The skirt of the dress is cut in a conic design, thus flattering the silhouette, split on the backside for comfort while walking. 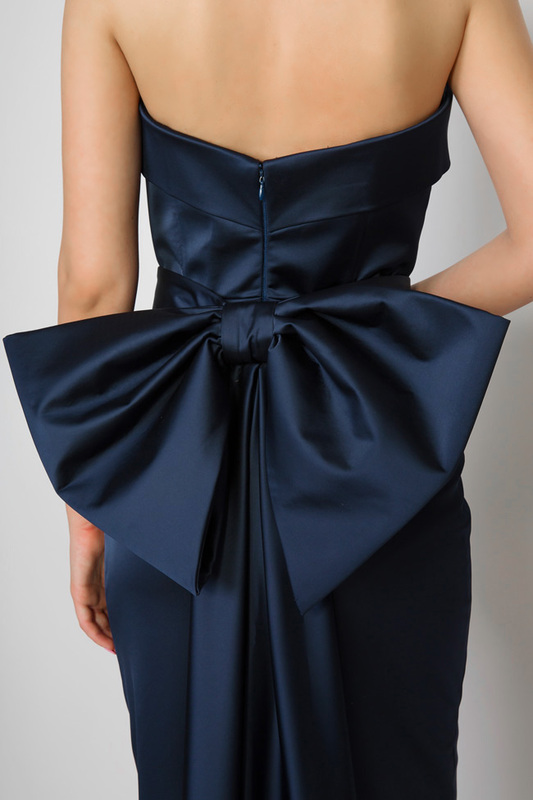 Also, the backside of the dress is revealed with a large bow that creates a dramatic volume and floor-length bows which sweep the floor with each step, thus creating a train effect. Wear it to your next event with high-heeled sandals and a jewel-clutch.